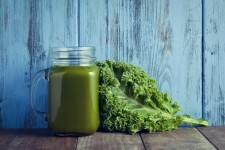 SAN RAMON, Calif., October 11, 2018	(Newswire.com) - ​Remember when kale took over? A few years ago, the leafy green took America by storm as if it were for sale for the first time and quantities were limited. The honeymoon may be ending, however, because a new study has shown kale, when eaten often, can contribute to unhealthy levels of heavy metals in a person’s body that can lead to chronic fatigue, skin issues, hair loss, cognitive impairment and digestive troubles. 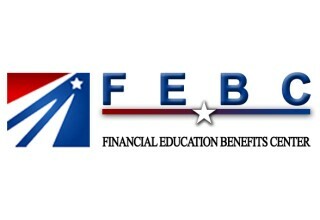 Financial Education Benefits Center (FEBC), a member benefits company specializing in health and financial wellness, offers benefits featuring non-urgent medical and nutritional advice and discounts on groceries that could be useful in a world where even kale can be bad for a person’s health. The culprit is a rare and heavy metal called thallium, which is a known poison. Kale, along with other “cruciferous” vegetables like broccoli, mustard greens and cabbage, acts as a “hyperaccumulator” of thallium. This means the plant can carry a concentration of thallium from the soil 100 times higher than a different type of plant grown in the same soil. If there is thallium in the ground where kale is grown, there is metal in the kale. Scarier still, the organically grown kale had higher concentrations of metal than conventionally grown kale. Efforts are being made to breed a new form of kale that does not hyperaccumulate trace metals. For those concerned with nutritional health, FEBC can help a person with meal planning, grocery discounts and, should the need arise, non-urgent medical and nutritional advice. However the future of kale unfolds, members will have options when facing the wide array of foods that may or may not be a wise nutritional decision.